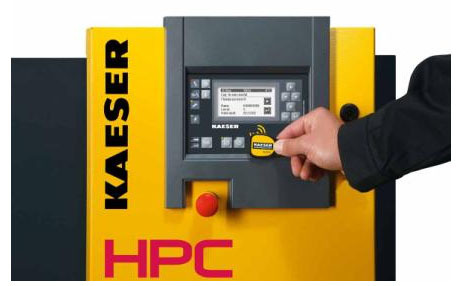 HPC KAESER’s revolutionary modular concept takes compressor controller technology to the next level and beyond. Welcome to the world of SIGMA Control 2. It’s now over a decade since HPC KAESER introduced its ground-breaking SIGMA Control internal compressor controller, the innovative “PC in a compressor.” The integration of an industrial PC as standard in every energy efficient rotary screw compressor not only enabled cost-effective control, but also allowed networking capability between individual units and with master control systems. This breakthrough provided the keystone for today’s integrated system approach to compressed air production by enabling continuous advances in energy performance and improved reliability of complex compressed air systems. The core strengths of the HPC KAESER SIGMA Control compressor controller are its ability to optimise energy efficiency and to communicate seamlessly both internally with the compressor as well as externally with master control systems. Unsurprisingly therefore, that the HPC KAESER development engineers also applied these outstanding features to the new generation SIGMA Control 2, or SC2 as it is referred to more succinctly. However, wishing to make the SIGMA Control 2 even more versatile than its predecessor, what the design engineers developed for the SC2 was an innovative modular design that creates a “division of labour” between the main control unit and the separate input/output modules. As a result, this unique concept makes the SC2 even easier to maintain and to communicate with.